The Best Psychiatry blogs from thousands of top Psychiatry blogs in our index using search and social metrics. Data will be refreshed once a week. Also check out Top Psychiatrist Youtube Channels list for Top videos on Psychiatrist. Norwalk, CT About Blog Welcome to Psychiatric Times a place to talk about mental health, psychiatry, and the world. Find Clinical commentary for mental health professionals by experts in the field of psychiatry. We deliver the most relevant, up-to-date content to practicing psychiatrists and other health professionals. Facebook fans 18,962. Twitter followers 75,540. About Blog PsychiatryAdvisor.com offers psychiatric healthcare professionals a comprehensive knowledge base of practical psychiatry information and resources to assist in making the right decisions for their patients. We empower psychiatry healthcare professionals with practice-focused and comprehensive clinical and drug information. Facebook fans 1,997. Twitter followers 1,238. Cambridge, MA About Blog Rethinking Psychiatry Advocacy, Blogs, News, and Resources. Mad in America’s mission is to serve as a catalyst for rethinking psychiatric care in the United States (and abroad). Facebook fans 19,992. Twitter followers 10,609. Baltimore - Johns Hopkins About Blog Dinah, ClinkShrink, & Roy produce Shrink Rap: a blog by Psychiatrists for Psychiatrists. Facebook fans 749. Twitter followers 1,196. Newburyport, Mass About Blog Keeping Psychiatry Honest Since 2007. I am a psychiatrist in Newburyport, Massachusetts and an Associate Clinical Professor of Psychiatry at Tufts Medical School. I graduated from the psychiatric residency at Massachusetts General Hospital in 1995. This is a blog by Psychiatrists for Psychiatrists. Facebook fans 2,229. Twitter followers 2,671. About Blog Integrative Psychiatry is a psychiatric and functional medicine practice located in Sarasota Florida.We strive to identify and treat the underlying cause(s) and contributors to symptoms of depression, anxiety and other mental health issues.Find alternative mental health treatments and psychiatric consultations. Facebook fans 669. Twitter followers n/a. About Blog Find thoughts & reflections on psychiatry by Steven P Reidbord MD. I am a board-certified psychiatrist with a full-time office practice in San Francisco, California. I write about aspects of psychiatry that interest me, and it also serves an educational function for patients, would-be patients, and the general public. Potomac, MD About Blog Welcome to drbrucekehr.com a blog from award winning psychiatrist and author, Dr. Bruce Kehr with Weekly tips to help you and the people you care about lead happier healthier lives. Facebook fans 252. Twitter followers 430. Ithaca, NY About Blog Peter R. Breggin MD is a Harvard-trained psychiatrist and former Consultant at NIMH who has been called “The Conscience of Psychiatry” for his many decades of successful efforts to reform the mental health field. Find posts on psychiatry. Facebook fans 19,600. Twitter followers 2,858. San Francisco, CA About Blog Reddit is a community of millions of users engaging in the creation of content and the sharing of conversation across tens of thousands of topics. We're a community created to discuss psychiatry, medicine, and associated fields. Facebook fans 1,156,099. Twitter followers 515,847. Rockville, MD About Blog ScienceDaily features breaking news about the latest scientific discoveries on everything from astrophysics to zoology from the world's leading universities and research organizations. Read current research on psychiatric disorders such as depression, OCD, schizophrenia, panic disorder, bipolar disorder and more. Facebook fans 1,757,972. Twitter followers 216,179. New York, NY About Blog Psychology Today is the only general interest magazine devoted exclusively to everybody’s favorite subject: ourselves. View the latest from the world of psychology: from behavioral research to practical guidance on relationships, mental health and addiction. Recent posts about Psychiatry at Psychology Today. Facebook fans 7,576,518. Twitter followers 532,542. New York About Blog Find Psychiatry & Mental Health Continuing Medical Education (CME), Psychiatry & Mental Health medical journal articles, MEDLINE, Psychiatry & Mental Health medical news, thought leader perspectives, Psychiatry & Mental Health conference coverage and comprehensive drug information on Medscape, a free resource for physicians. Facebook fans 546,325. Twitter followers 137,338. About Blog The Department of Psychiatry has as its mission the provision of educational programs, the promotion of research activities, and the delivery of clinical care. Find the latest news & announcements from the Department of Psychiatry. Oxford, UK About Blog The University Department of Psychiatry is based at the Warneford Hospital. It supports research in four key areas: neurobiology, psychological treatments, developmental psychiatry and social psychiatry. Find posts on Psychiatry. Facebook fans n/a. Twitter followers 5,013. Facebook fans 21,163. Twitter followers n/a. About Blog A Collection of Articles on Clinical Neuroscience and Training of Future Psychiatrists, published in the Asian Journal of Psychiatry. Dublin Ireland About Blog College of Psychiatrists (Ireland) are the professional body for psychiatrists, promoting best standards of practice & care in Irish mental health services. The Mission of the College is to promote excellence in the practice of psychiatry. About Blog The London Psychiatry Centre is a leading private psychiatric care clinic in Harley Street that provides cutting-edge treatments for mental health problems. Read this blog for advice on improving your mental health. Iowa City, IA About Blog I'm a consulting psychiatrist at The Univ of Iowa Hosp & Clinics where I help patients who suffer from complex, comorbid med-psych illnesses. About Blog Psychiatry Atlanta Dr. Ross Grumet provides a wide range of psychiatric services including ADD/ADHD, Depression, Bipolar, Insomnia, Eating Disorders, Addiction. About Blog H-Madness is intended as a resource for scholars interested in the history of madness, mental illness and their treatment. This blog follows the history of psychiatry. About Blog PsychStaffing is an established, growing company that specializes in matching quality psychiatrists with quality work environments. Keep up with what's new in the psychiatric staffing industry and what's new at PsychStaffing.com. About Blog The Maryland Psychiatric Society is a state medical specialty society whose physician members specialize in the diagnosis, treatment and prevention of mental illnesses including substance use disorders.Working for excellent, accessible, comprehensive mental health resources for Marylanders and supporting the professional needs of Maryland psychiatrists since 1950. Cape Town, South Africa About Blog Psychiatrist passionate about living the best life. Facebook fans 115. Twitter followers 16. 29. The Happiness Psychiatrist: Sheenie Ambardar, M.D. Beverly Hills, CA About Blog Sheenie Ambardar, M.D. is a Physician specializing in Adult Psychiatry, with expertise in psychopharmacologic medication management as well as psychotherapy. Dr. Ambardar is a practitioner of Kundalini Yoga and Meditation and blends Eastern and Western treatment philosophies in her psychiatry practice. Find posts on happiness, mental health, psychology, and psychiatry. Facebook fans 1,965. Twitter followers 1,981. About Blog Dr. Aruna Tummala is a holistic & integrative psychiatrist who uses evidence based interventions to help you achieve mental wellness. Find information on integrative psychiatry, functional medicine, the healing powers of Ayurveda, healthy living tips and more. About Blog I became an attorney late in life primarily to advocate for the universal human right to refuse psychiatry. Minnesota, United States About Blog The reality of psychiatry rather than the perception. I am a practicing psychiatrist with 30 years experience. In the Real Psychiatry blog, I correct the distortions about psychiatry that occur in the media. About Blog A blog for the faculty, trainees and friends of the Washington University Division of Child and Adolescent Psychiatry in Saint Louis, Missouri. About Blog The Art of Psychiatry society has been formed to explore the shared elements between the arts and psychiatry. Many psychiatrists, including trainees, have a strong interest in the creative arts and this informs their practice. Find posts and updates from Art of Psychiatry Society. Facebook fans n/a. Twitter followers 2,429. About Blog Dr. Blumenfield is a Board Certified Psychiatrist practicing psychiatry in Woodland Hills, California. He is the Sidney E. Frank Distinguished Professor Emeritus of Psychiatry. This blog will be dedicated to educating the public about mental health and psychiatry as well as providing a forum for discussion by all people interested in the mental health topics which will be covered. About Blog Welcome to ‘psychiatrist update’. Find daily dose of evidence for psychiatrists. Scotland About Blog We are a team of private consultant psychiatrists who provide a professional, confidential and reliable service catered to individual needs of our clients. Operating throughout the UK, Independent Psychiatry consultants have experts that provide psychiatric opinions for Courts and Tribunals. Facebook fans 708. Twitter followers 5,681. About Blog A chronicle of human rights violations and crimes by the psychiatric industry. About Blog The Royal College of Psychiatrists is the professional and educational body for psychiatrists in the UK. The purpose of this channel is to share video resources with other professionals and interested members of the public.Find videos on Psychiatry by rcpsych. Facebook fans 11,083. Twitter followers 65,643. Santa Monica, CA, USA About Blog Soroya Bacchus, MD has over 22 years experience in the Medical Industry, possessing a number of significant achievements within Psychiatry, Psychosomatic Medicine, Addiction Treatment, and Geriatric Psychiatry. I specialize in psychiatry, addiction medicine and psychosomatic medicine. Soroya Bacchus is a psychiatrist talking about the practice of psychiatry. Facebook fans 1,061. Twitter followers 4,919. Billings, MT About Blog Dr. Malters was born in the Midwest and raised in Southern California. Montana Psychiatry and Brain Health Center has Ketamine treatment for drug-resistant depression, Neuragain, Billings, Montana, Dr. Erin Amato. Facebook fans 951. Twitter followers 44. Brooklyn, New York About Blog I am a public and emergency psychiatrist working in New York City. This website began as an attempt to chronicle my experiences as I made my way through a psychiatric residency. I then continued to blog during my journey through fellowships in public and emergency psychiatry, and now write through the lens of a semi-seasoned attending psychiatrist. Facebook fans 255. Twitter followers 132. Toronto About Blog Bonnie Burstow is a university professor, antipsychiatry activist, prison abolitionist, philosopher, feminist therapist, anarchist, prolific author. This blog is devoted to raising critical awareness of psychiatry generally. It is likewise devoted to the antipsychiatry research projects, publications, and related activities of Dr. Bonnie Burstow. Waterville Valley, NH About Blog Gary S. Moak, MD, is a past president of the American Association for Geriatric Psychiatry and 2011 recipient of its Clinician of the Year Award, and Distinguished Fellow of the American Psychiatric Association.Find Information about aging, mental health, geriatric Psychiatry. Facebook fans n/a. Twitter followers 523. Lancaster, UK About Blog Sam Fellowes has PhD Philosophy of Psychiatry and History of Autism. I try and broaden my knowledge of philosophy in areas other than philosophy of science/psychiatry. Find Thoughts of a philosopher of psychiatry and a philosopher of science. Minnesota, USA About Blog I am a psychiatric clinical nurse specialist and currently work in an outpatient private practice. I provide psychiatric care for women in reproductive years. Facebook fans 291. Twitter followers 24. About Blog Christian is a psychiatrist, music lecturer, pianist and Churchill fellow. Caroline is a theatre professor, a former Broadway actor, and an international author. Together they give talks on relationships and mental health in relationships worldwide. Their blog features tips drawn from Christians 20 years of clinical practice. About Blog Dr Paul Morrison is a private psychiatrist in London with over 20 years experience in the treatment of mental illness. Paul’s clinical philosophy is to create a space in which the patient and their psychiatrist can work together in close collaboration to enhance insight and recovery. Find blogs on psychiatry. 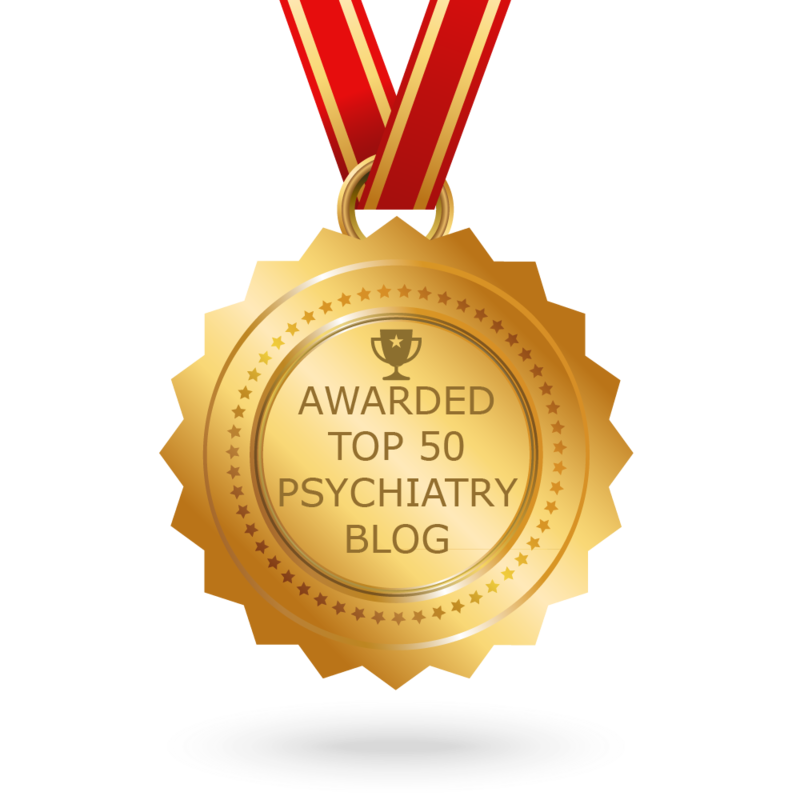 CONGRATULATIONS to every blogger that has made this Top Psychiatry Blogs list! This is the most comprehensive list of best Psychiatry blogs on the internet and I’m honoured to have you as part of this! I personally give you a high-five and want to thank you for your contribution to this world.